US binary signals claims to be the worlds best signal software in the binary options market. This software has a 14 day trial for $14 and then costs $97 per month after that initial investment. Today I’ll be taking a closer look at this signal service that aims to provide signals for Nadex customers via email and SMS. There is no specific information on how many signals are sent per day but the developer of US binary signal system claims they are frequent. They assure us that there are consistently more opportunities to trade. They say that they are able to predict short-term market direction with amazing accuracy due to technological advances that have occurred in the past few years. None of these technological advances are discussed so it is really difficult for us to understand the strategy behind the software. The US binary signals system provides specifically just for pairs at this point in time. These pairs are currently EURUSD, EURJPY, USDJPY, GBPUSD, USDCHF, AUDUSD, USDCAD, EURGBP, AUDJPY. They hope to add assets in the future and the signals expiry time is always set to an hour. As for the results for the signal service they show the chart with an equity line going up. This easily could have been created in Excel, there is really no independent testing for this signal service. At this point in time I am not going to get involved with the US binary signals service. I am glad that we are seeing other types of developers in this market looking to provide opportunities but I don’t believe this one of them. I am certainly happy that this isn’t a free binary options system like we’ve seen so many of but I don’t believe that this is the solution just yet. 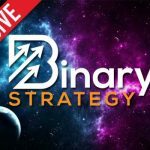 If you have any questions or something you would like to add to this US of binary signals review please leave your comments below the article. I appreciate you coming to binary today and hope that you look around at some of the other reviews I’ve written. I have been in the US Binary Signals “Free Trial” for one week. During that time I have received 5 signals. I was unable to act on 4 of them because (my bad) the one that I did act on was in money for $90. I am still looking for a service. Can best-binary-options-signals-and-software be used for Nadex trading? Yes, many clients use it. I plan on doing a video very soon. U.S. Binary Signal Service is a Great signal service to use with NADEX Exchange. If you’re in the USA, this is way to go including legal reasons. Where do I find a web site for US Binary Signals?